In this video we are making a quirky cat made with some gorgeous Fat Quarters from my @PinkSewingBus partners @Hobbycraft. 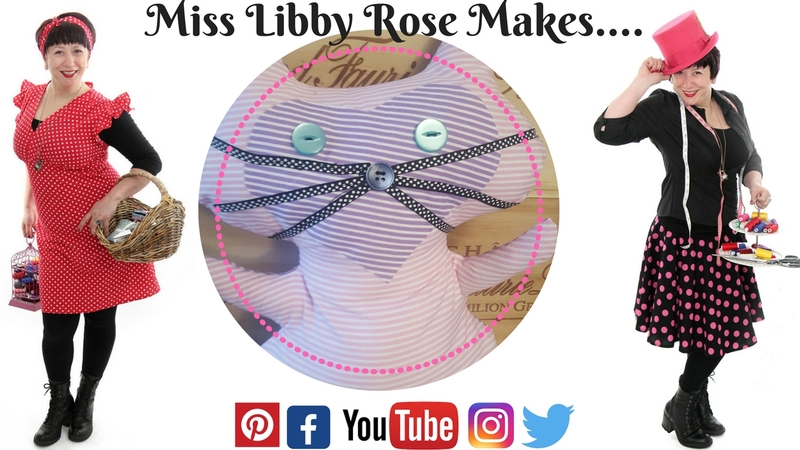 Join me @MissLibbyRose as I guide you through how to make this fun and quirky cat friend.. Soon you’ll be wanting to make one for everyone! In this project we are making a fun Cat Creature made with some gorgeous Fat Quarters from my @PinkSewingBus partners @Hobbycraft. Attach the heart face to the front piece using the iron and following the instructions on the heat n bond or bondaweb. Create the whiskers with the ribbons, put a pin in the middle and sew them in place. Hand sew on the buttons for the nose and eyes. Lay the front cat piece on top of the back so the right sides are facing each other & pin. Leaving a 0.5 to 1cm seam allowance (lay the edge of your foot against the edge of the fabric) stitch the whole way around the shapes leaving a gap in the bottom wide enough to fit your fingers through. Turn the whole cat through to the right side using the gap you left earlier. Open your bag of toy filling and take small handfulls of fluffy stuffing to fill your cat. Push the stuffing all the way up to the top of the ears, then filling up the arms, face, legs and last of all over filling the tummy. If you are having troubles getting your stuffing into all these spaces you could use a chopstick, knitting needle (not the pointy end) or any other blunt long apparatus. Once you are happy with the stuffing qty it is time to stitch up the hole! Using a small zig zag stitch on the machine or hand-sewing (hand sewing is the preferred method) stitch up the hole in the bottom. Next post: Let’s Make a Kimono style wrap top!